8.1 How Wide of a Board Will a Miter Saw Cut? 8.2 What Kinds of Cuts Can a Miter Saw Make? 8.3 How Long Can a Particular Blade Last? 8.4 What Is the Ideal Height of the Cutting Deck from the Table? 8.5 Can a Miter Saw Cut Metal? 8.6 How Do You Properly Sharpen a Miter Saw Blade? 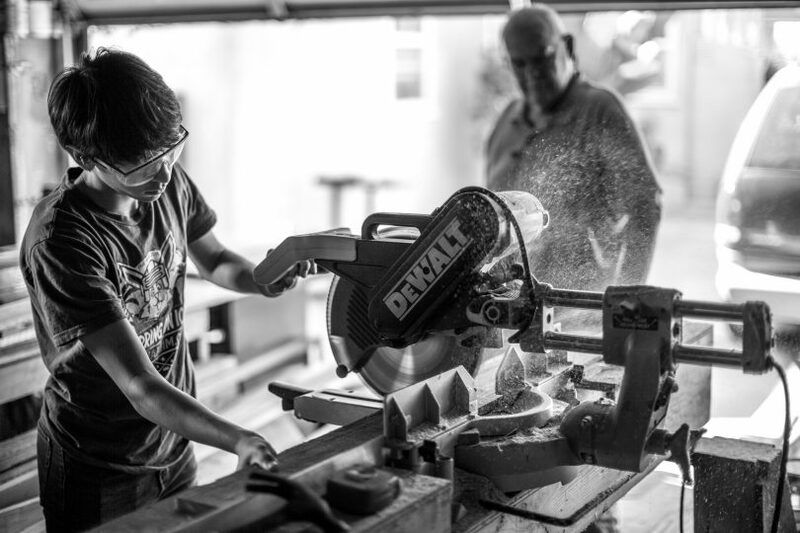 When many people think of the tools they absolutely must have in their workshop, not all of them come to the conclusion that the miter saw is an essential inclusion. 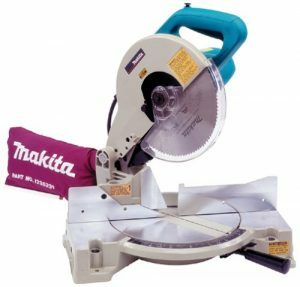 If you can somehow get your hands on the best miter saw though, you will be able to understand quickly that no workshop is complete without it. We want to make the search for the right miter saw easier for you. That is why we have picked out some of the top miter saws currently on the market to review. Let’s get to those reviews now. When shopping for this tool, it’s important to first check what kinds of cuts the product you’re looking at is capable of making. It’s safe to say that the DWS779 12” Miter Saw has you covered in that regard. Thanks in part to the specially designed back fence featured on this miter saw, it can accommodate pieces of wood that reach sizes of 2×12 and even 2×16. You can also complete precisely angled cuts on those larger pieces using this miter saw. Angled cuts up to 60 degrees on the right and 50 degrees on the left are similarly possible with the aid of this DeWalt creation. Powered by a 15-amp motor, you can count on this miter saw gliding through just about any piece of lumber you put in front of it. The included dust collection system will ensure that your workshop doesn’t become too messy whenever this miter saw is in use. You may encounter some difficulty using this miter saw at first because it’s missing the laser guide. Once you get the hang of it though, even completing complex cuts should prove to be quite easy. You’ll have to pay a high price to get this sliding compound miter saw inside your workshop. Its high-end feature set is more than worth it though. Dust particles can significantly affect the performance of a miter saw. The saw’s accuracy and quickness will suffer if too many dust particles are getting in the way. The GCM12SD Miter Saw is designed in such a way that clogs caused by dust won’t bother you as much anymore. 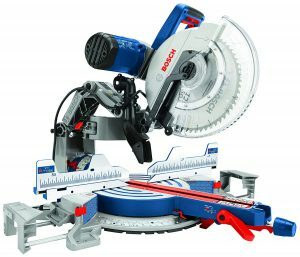 The designers over at Bosch have implemented the Axial-Glide System inside this particular miter saw. What that does is effectively prevent the interior of the saw from getting covered in dust. With no dust particles hindering the saw, it can perform as well as it did when you first took it out of the packaging even if it’s already spent years inside your workshop. Also helping to make the saw user-friendly is the Squarelock fence. The aforementioned feature is responsible for getting the saw and fence lined up precisely. You won’t have to fiddle around as much with the settings thanks to the inclusion of that feature. Because of this miter saw’s weight, traveling with it can prove to be a challenge. It would be best if you can keep it one place after purchasing it. This high-performance Bosch saw can turn into a staple of your workshop. The folks at Bosch know their way around power tools and they have shown it again here. Miter saws excel at executing bevel cuts, but even among these products, performance can vary. 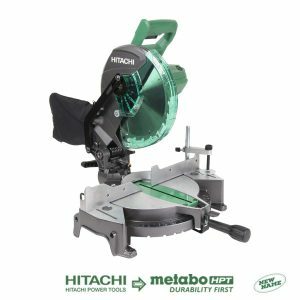 For the hobbyists and woodworkers looking for a tool that has no problem making bevel cuts, the C10FCG 10” Miter Saw from Hitachi is definitely worth a look. This Hitachi saw has 0 to 45-degree bevel range allowing it to create all kinds of sloped cuts. Thumb actuated positive stops are also included and they will enable you to make fast miter adjustments if you deem them necessary. Also serving to make this miter saw an even better tool is its range for angled cuts. The range goes all the way up to 52 degrees in both directions. To make sure that you avoid mistakes while cutting through wood, the manufacturers have included a horizontal handle that you can grip and control easily. You can expect things to get messy while using this miter saw though. The dust collection attachment is not well-designed and will allow a bunch of particles to scatter inside your workshop. Don’t let the affordable price fool you. Hitachi is just giving you a great deal on a power tool that can perform well in your workshop and in remote locations. 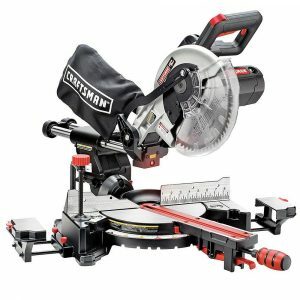 Similar to the Hitachi product above, the 10” Sliding Miter Saw from Craftsman is an excellent choice for hobbyists and woodworkers who need an item capable of pulling off precise angled cuts. The 0 to 50-degree miter adjustments available make it easier for you to complete specific cuts. Also helping with that are the small blades bundled together with the saw. Because of their smaller stature, those blades are easier to control and direct in such a way that you will be able to create the right cuts all the time. Despite the smaller blades, this miter saw remains capable of cutting bigger pieces of lumber down to size. It also features more than adequate power as it is backed by a 15-amp motor. One downside to using this saw is that you’ll have to make frequent adjustments. Having to constantly tweak the settings of the saw when you’re using it can get annoying very quickly. You’ll be hard-pressed to find a sliding compound miter as budget-friendly as this Craftsman creation. Thankfully, the lower price is not an indicator of a low quality machine in this scenario. Getting used to a miter saw can be a tricky process. It would be ideal if the miter saw you’re using can help ease you into the craft of woodworking. That’s precisely what the LS1040 10” Compound Miter Saw from Makita excels at. Unlike some of the saws reviewed previously, the light guide included with this Makita offering is suitably bright and serves as a good reference point for where you need to go. The positive miter stops also make it easier for you to complete the exact cuts you’re going for. Bevel cuts go up to 45 degrees and a variety of angled cuts are similarly easy to pull off using this miter saw as well. At just over 32 pounds, this is also one of the lighter saws you’ll see on the market. Certain components of this miter saw are not well made however. Worryingly, the blade guard is on the thinner side. If you’re helping a beginner use this saw, make sure that he/she is wearing extra protection. This Makita miter saw is a great choice for beginners. Even the price tag attached is more than reasonable for the hobbyists still putting together their dream workshop. The miter saw is specifically designed to execute a variety of cuts. You can use it for crosscuts which quickly slim down a thick piece of lumber. The miter saw is also better suited to making angled and bevel cuts that are harder to execute using hand saws. This specific type of power tool is also going to make creating uniform cuts easier. There are three basic types of the miter saw, with those being the standard, compound, and sliding variants. The standard miter saw is often the cheapest option. A compound miter saw will cost more, but it can complete more types of cuts. The sliding miter saw features the highest capacity and the greatest versatility. Sliding saws are also often the most expensive options available. This video from the WoodWorkers Guild of America tells you what you need to know about miter saw blades. In terms of teeth count, you want the saw blade you’re using to feature at least 60 teeth. A blade that has more teeth will be able to chop through wood better. You also want the hook angle to be no greater than seven. If the hook angle exceeds that, the blade will struggle to create clean cuts. Power allows the miter saw to cut through even the thickest pieces of wood and even some metals. 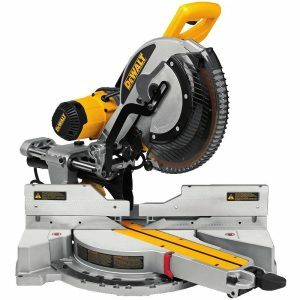 To acquire the most powerful miter saw, look for one that is equipped with a 15-amp motor. That 15-amp motor is a must on a larger miter saw as anything less powerful may not be enough to get the blade going at its ideal speed. The capacity of the miter saw depends on what blade you’re using. If you have a 10-inch blade attached, it should be able to create angled cuts through pieces of wood that go up to 2×6 in size. The larger 12-inch blades can go through lumber with dimensions of 2×8 or 4×4. No one wants a messy workshop. A miter saw that only collects up to 50 percent of the dust particles will not do enough to keep your workshop clean. Aim for a miter saw that holds up to 75 percent of the dust particles if you want to reduce the time you have to spend tidying up. A comfortable grip is good to find on any miter saw. They will allow you to work longer. Hand guards will minimize the chances of you sustaining an injury. Guiding lights or lasers are more important to see on a miter saw if you are not used to working with this type of power tool. The standard miter saw is known for being lightweight and easy to use. They can’t make all the cuts, but they are consistent performers. If you need to make angled and beveled cuts, the compound miter saw is what you should buy. Look for the double bevel options that can tilt in both horizontal directions. The sliding miter saw can execute all the complex cuts that are possible with a quality compound saw. On top of that, they can also host larger pieces of wood because of the movable arm. Below are some accessories for the mentioned tool. Exposing your miter saw to the elements is not a great idea. Get a storage cover for it that is waterproof without being too confining to keep the miter saw in great condition. Before you take your miter saw to a job site or pack it up for a move, you will need a sturdy carrying case. Most miter saw carrying cases are made out of plastic. There’s no issue with that, but make sure that the one you purchase is thick and built to withstand impact. Remember the specific model of your saw before you go out and purchase a replacement brush to make sure that the accessory will be compatible. Manufacturers also sell their own replacement brushes and it’s best to buy from them. To protect your working surfaces, you must set up workstation tool mounting brackets for the miter saw. These brackets will support the miter saw’s weight and prevent your working surface from getting scratched. Similar to the replacement brushes, clamp assemblies can be sold by third party companies and the manufacturers themselves. Get the ones sold by the manufacturers if you want to be certain that they will work with your miter saw. In the absence of a working surface, you can make use of a heavy duty stand to support your miter saw. Look for a stand that can be folded up quickly so that you can easily travel with it. Always take the time to read the manual before using the saw. Take note of any performance limitations and avoid pushing the miter saw to them. Put on safety gear including a pair of goggles and a mask at a minimum. Use earplugs or safety boots if recommended. Never allow your hands to enter the blade path. Make use of the guards included. Clear the working surface before activating the miter saw. Keep the working area properly lit. Let the motor reach its top speed before cutting. Only use accessories if they are specifically mentioned as compatible with your miter saw. DeWalt has been in the business of making power tools for 95 years. The company is currently based in Towson, Maryland. Japanese manufacturer Makita boasts an even longer company history that dates all the way back to 1914. The company currently has factories in Europe, South America, Asia, and North America. 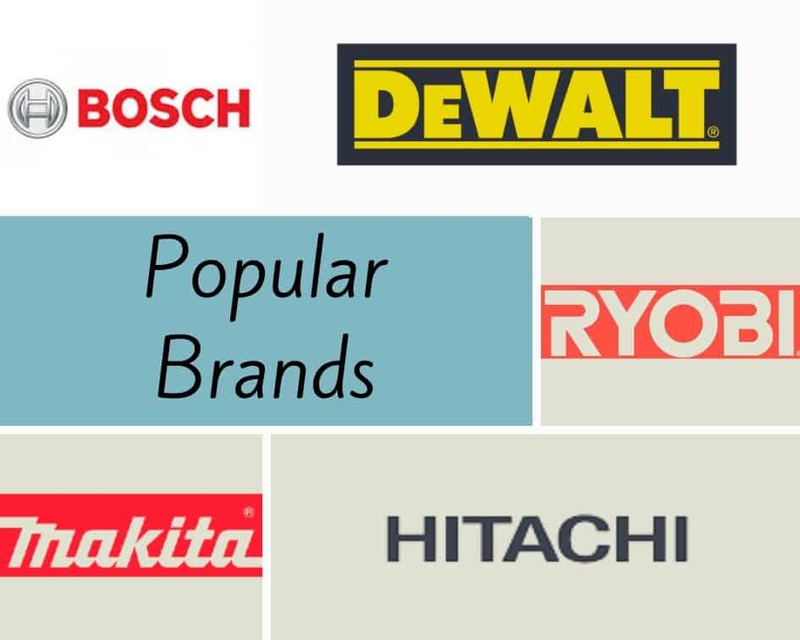 The Japanese company Hitachi has a more diverse offering than either DeWalt or Makita. Hitachi is not primarily known as a power tool manufacturer, but they have still churned out numerous high quality offerings. Bosch has been producing household and industrial tools for more than 130 years. Though the company also specializes in creating computing devices and automotive components, they are still well known for their power tools. Ryobi is younger compared to the other companies listed above, but the company has still been in the business of manufacturing power tools for more than 75 years now. Company is primarily based in Japan, but it is worth noting that the company has expanded its operations to the United States. How Wide of a Board Will a Miter Saw Cut? According to SF Gate, a miter saw equipped with a 10-inch blade can go through a board that is 5 1/2 inches wide. A miter saw using a 12-inch blade can cut boards that are as wide as 7 1/2 inches across. What Kinds of Cuts Can a Miter Saw Make? Using a miter saw, you can complete crosscuts, angled cuts, beveled cuts, and compound cuts. How Long Can a Particular Blade Last? Carbide-tipped blades can last for years and even decades if they are well maintained and occasionally sharpened. High speed steel blades may also stay functional for years, but they lag behind the carbide blades in terms of durability. Steel blades are the ones that dull the fastest. What Is the Ideal Height of the Cutting Deck from the Table? Anything from two to four inches should be enough space between the cutting deck and the table. That amount of space should make the miter saw safer to use. Can a Miter Saw Cut Metal? Whether or not a miter saw will be able to cut metal depends on what kind of blade you’re using. If you can acquire a carbide-tipped blade with plenty of teeth that also features the triple chip grind alignment, you should be able to cut through metal. How Do You Properly Sharpen a Miter Saw Blade? To sharpen a miter saw blade, Miter Saw Judge notes that you will need to acquire a diamond file, some mounted clamps, and a marker of some kind. Once you have removed the blade from the saw, you should mark each tooth you’re working on to keep yourself from sharpening the same tooth repeatedly. You can then use the diamond file to carefully sharpen the teeth individually. By finding the popular miter saw, you can make your experiences in the workshop even better. A workshop truly cannot be considered complete if you are missing a miter saw, so hopefully this article has helped you identify the specific product you need. 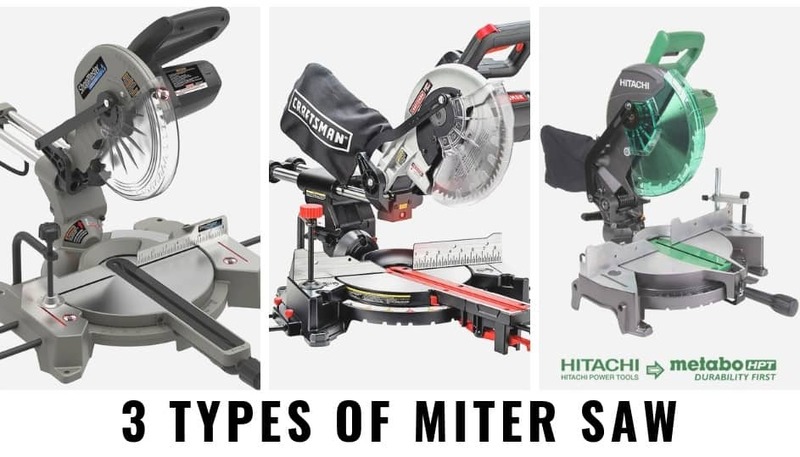 We hope that you enjoyed the miter saw reviews included in this article and please feel free to share your comments about them.